We share with you our magnificent and original ideas for festive decoration. Check out our photo galleries where you can find ideas and advice about Mother’s Day, Valentine’s day, your child’s birthdays, your friends’ wedding, Easter, Thanksgiving, Christmas and Halloween party, spring decor and Autumn decor ideas, seasonal decorating ideas and much more! 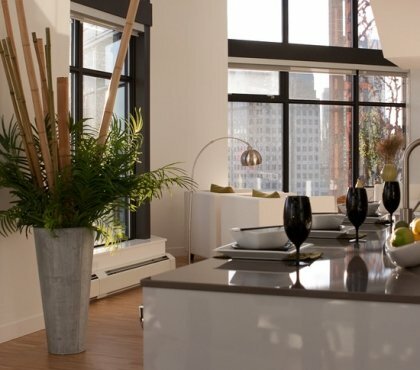 Craft enthusiasts will find numerous decorating ideas for the table, the windows, the house and the garden. Are you planning a summer party or an Easter family gathering? Do you need a little extra charm and a little more of Christmas spirit? Get inspired by our suggestions and spectacular decorating ideas for the backyard! 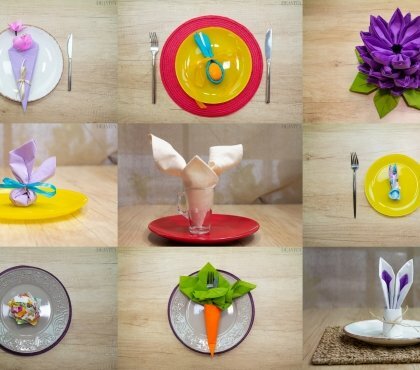 DIY Easter decorations can be much cuter and more durable than those bought in the store. 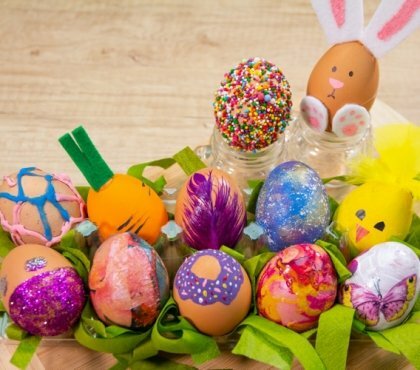 We have selected 10 simple and cute Easter craft ideas for adults and children which are easy and fun….